Rarely do companies discontinue a drug as a matter of business interest. In fact, this happens in only 2% of the cases. During those times, the company may consider profitability, manufacturing costs, distribution quota, and patent life among other issues that are all about the bottom line. Every other time, drug shortages are brought on by other factors; Factors that are usually beyond the control of the manufacturer or the FDA. Just like other entities in the manufacturing field, drug manufacturers often suffers disruptions that cause an inadvertent shortage of a medically necessary drug that is absolutely critical to proper patient care. The very foundation of a disruption in supply chain is manufacturing and quality issues. Often there will be an issue with the old outdated equipment, which will often require repair or replacement. There might also be unexpected issues with the product composition or even a low supply of raw materials. Often the entire medical drug manufacturing industry will depend on a single source of raw material. When the demand of a particular drug unexpectedly soars, there will be increased orders of the raw material. This will soon cause a shortage and even price spike for the material. Without the raw material, even the most up to date equipment will be utterly useless. These unexpected demands could be brought about by FDA approval of new indication for most of the part. According to the FDASIA of 2012, it is required that manufacturers notify the FDA of impending disruptions that could cause a shortage. This way the FDA is able to put measures in place to better cushion medical practitioners and patients from the adverse impact of a shortage. However, some manufacturers fail to report or give insufficient information. Giving insufficient information limits the power of the FDA to avert impact of shortage. The FDA is working to find ways to encourage timely and sufficient reporting of impending disruptions. The agency seeks to ensure that manufacturers realize that adherence to the spirit and letter of the 2012 act is in the best interest of every party involved. It is within FDA authority to expedite the approval of an alternative drug. One that will be just as effective as the one that is about to be in shortage. However, this is not to say that patient care will be compromised. The applications will still be assessed under a microscope with a fine toothcomb. In the event there is no viable protection from the impending doom inland, the FDA is well within its rights to seek overseas. The agency will subject the overseas site and product to rigorous inspection and testing before importation. With technology being so helpful in many facets of medicine, the agency seeks to find ways in which it can reduce supply chain disruptions and consequently reduces the instances of drug shortage. 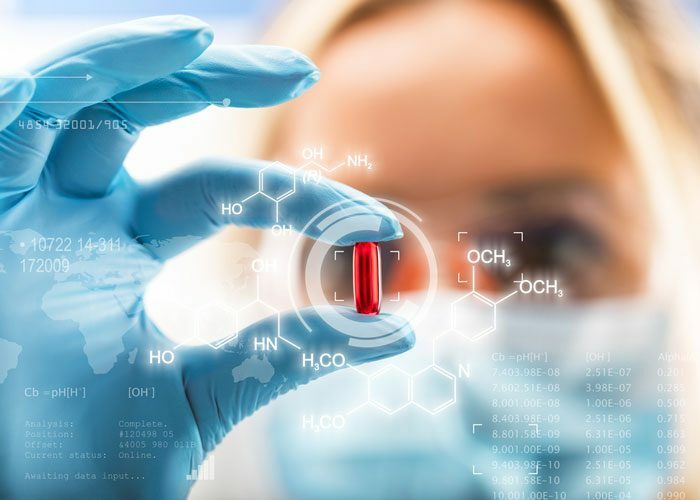 Through the Emerging Technology Program, the agency seeks to collaborate and engage with industry stakeholders to adopt technology in pharmaceutical manufacturing. The Continuous Manufacturing is an example of one such endeavor. However, the FDA is trying to reduce the cost of adoption to ease anxiety over integration of CM into the manufacturing process as a long-term solution. The FDA is confident that adoption of CM will revolutionize pharmaceutical manufacturing and reduce possible drug shortage significantly. So far, the FDA has a vast mandate. However, the agency is looking into working with congress to cast a wider net. It seeks to re-evaluate authorities. For example, it would be incredibly helpful if applicants could submit a document outlining the potential of the manufacturing process and quality to suffer setbacks. This risk assessment would ensure the company works on the kinks before FDA gives approval. According to FDA commissioner Scott Gottlieb M. D, this would significantly put a dent on the drug shortage problem. The FDA appreciates that uncertainty of the period of shortage causes frustration and stress. The medical practitioners have to contend with inability to ration the available supplies appropriately. They wonder how to prepare for sudden events that cause unforeseen clinical demand for particular drugs, which are in shortage. This makes it a bit difficult to adhere to fulfill the Hippocratic Oath, thus, the rigorous effort to get to the root of the problem rather than just treat the symptoms. The agency recognizes that only meaningful impact on structural challenge and efficient coordination or public and private stakeholders will bring this issue to heel. The FDA continues to evaluate current authorities for more remedies to the kinks in the imperfect system. It seeks to bring anticipation, foresight, and communication into the system for better avoidance of drug shortage.